Top Tip One: The easiest way to reach Christ the Redeemer is to take the 20-minute cog-railway, where the best seats are the rear-facing ones on the right-hand side of the cars as you look up the mountain. These afford the best views to the right as you reach the ride’s halfway point. Plenty of city tours include ‘Cristo’ tickets, or buy them online for £13 at tremdocorcovado.rio. At the base of the statue, visit the tiny chapel that is built into the foundation. 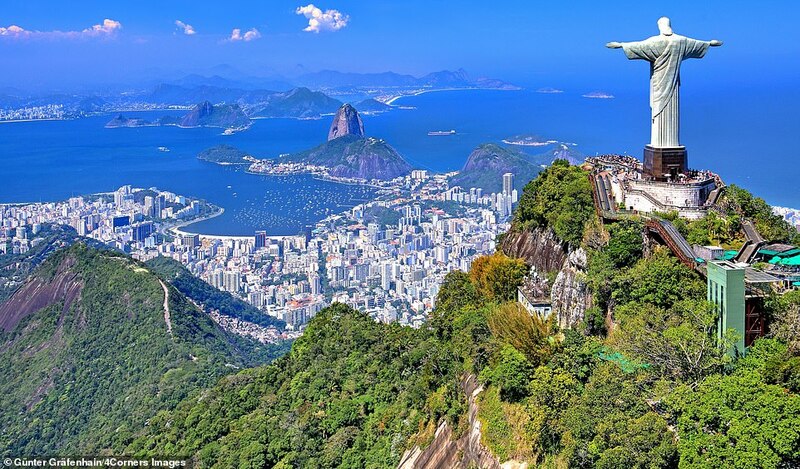 Top Tip Two: You can see Sugarloaf Mountain from all around Rio and nearly 40 million visitors have taken the two-part cable-car trip to the top. On each three-minute ride, the views are spectacular, so don’t worry where you stand. At the summit you’ll get another set of city and ocean views. And as it’s a top spot for weddings, you’ll often end up photo-bombing a couple’s big day. Cable-car tickets are included on many city tours, or buy online (£20 each) at bondinho.com.br. 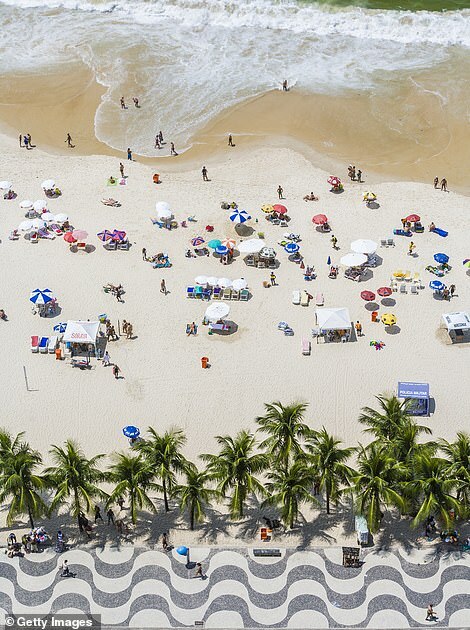 Top Tip Three: Copacabana and Ipanema beaches are the ultimate places to people-watch as you stroll along the sand with a caipirinha in hand. But don’t limit yourself to Rio’s big-name beaches. Head west for ‘secret’ Jurassic Park-style spots where lush, green mountains rise straight out of the sea. 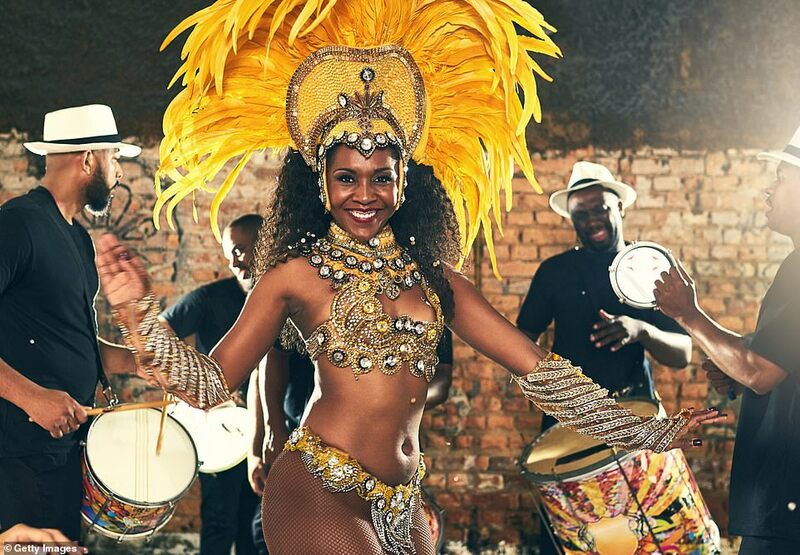 Top Tip Four: Not much beats a big, red Brazilian sunset, which is why crowds burst into applause every night when the last rays disappear beneath the horizon. The most popular place to capture the moment is just past Copacabana Fort on the rocks of Arpoador. On a clear night you’ll see the sun frame Christ the Redeemer before the light sinks beneath the mountains. Top Tip Five: Turn off your mobile phone and step inside one of the world’s most beautiful working libraries, the Real Gabinete Portugues de Leitura. Shelves of dark-covered books rise three levels towards a stained-glass dome and students work at 100-year-old mahogany desks. 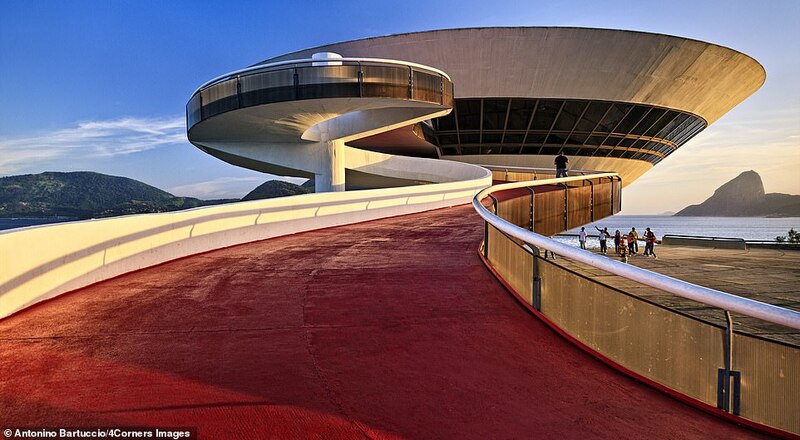 If Hogwarts opened a school in Brazil, this would be it. 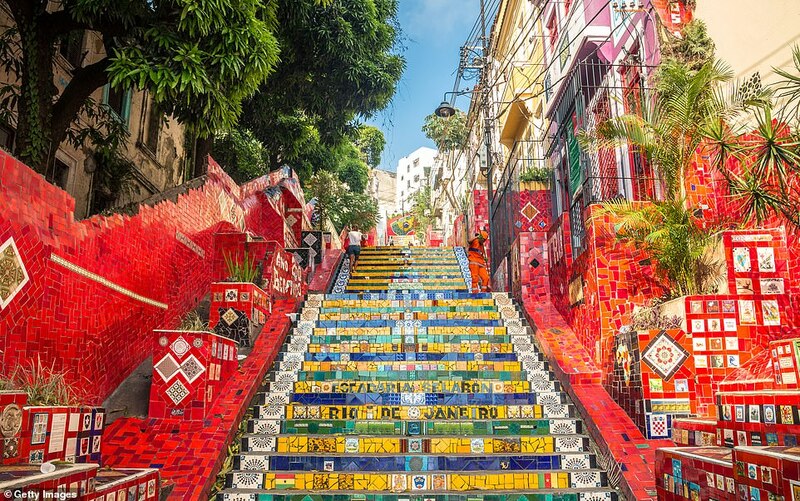 Top Tip Seven: Rio is built on a series of steep hills. Take a historic yellow tram over the Lapa Arches (an old aqueduct) and you’ll go up one of the steepest slopes to the trendy Santa Teresa neighbourhood. Find street art, handicrafts and the ghostly House of Ruins, the former mansion of an eccentric socialite which is now an art space like no other. It’s a live music hub, there are exhibitions in the old cellar and panoramic views from what’s left of the roof. Top Tip Eight: Surfing doesn’t stop when the sun goes down here. At night, the ocean at the central Arpoador beach is lit up to catch waves 24 hours a day – and there are always spectators watching the nightly shows.